Today was our third time getting 100 birds this season. So far this season, it has been really slow. But we are hoping that the numbers will be picking up soon. Jenna entered 14 pages of data to get us caught up for the season. Monday September 29, 2014. 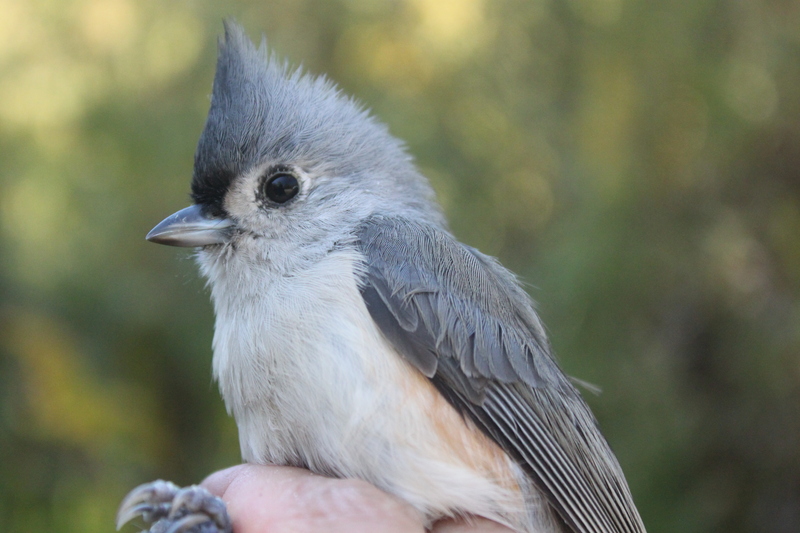 80 new birds of 21 species; 19 retraps. New species Mourning Dove and White-breasted Nuthatch. The morning started out slow but the number of captures rose toward mid-morning. Common Yellowthroat, Nashville, Blackpoll and Northern Parula were the only warbler species handled. Thrushes and sparrows (Lincoln, Swamp and White-throated) were more plentiful, especially from the alphabet trail. Back to business as usual . . .
Andrea Patterson	Fall Banding	Comments Off on Back to business as usual . . .
Sunday September 28, 2014. 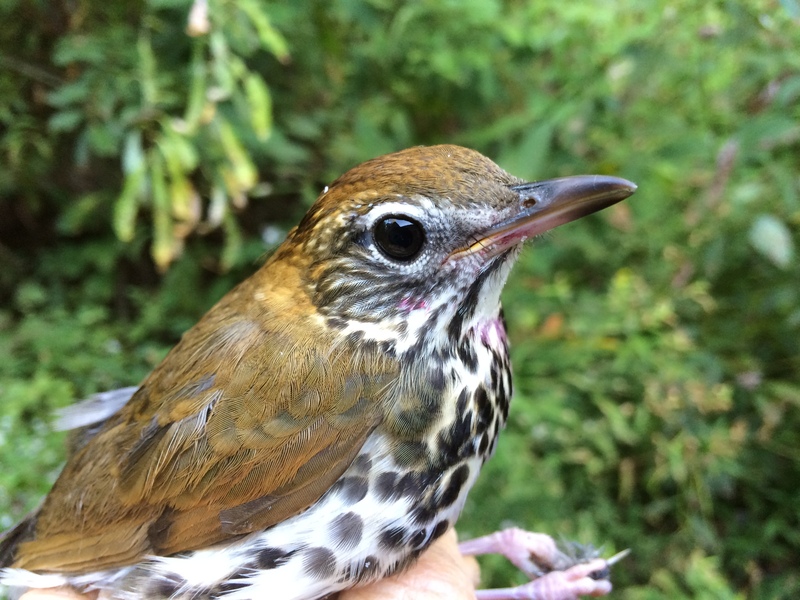 97 new birds and 21 retraps, 22 species. 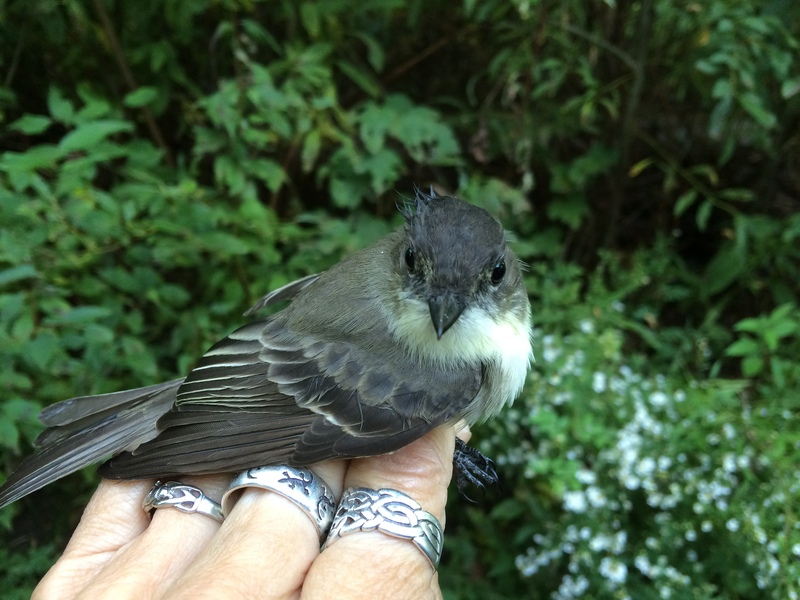 Saturday September 27, 2014: 137 birds of 26 species; 19 recaps. No new species. 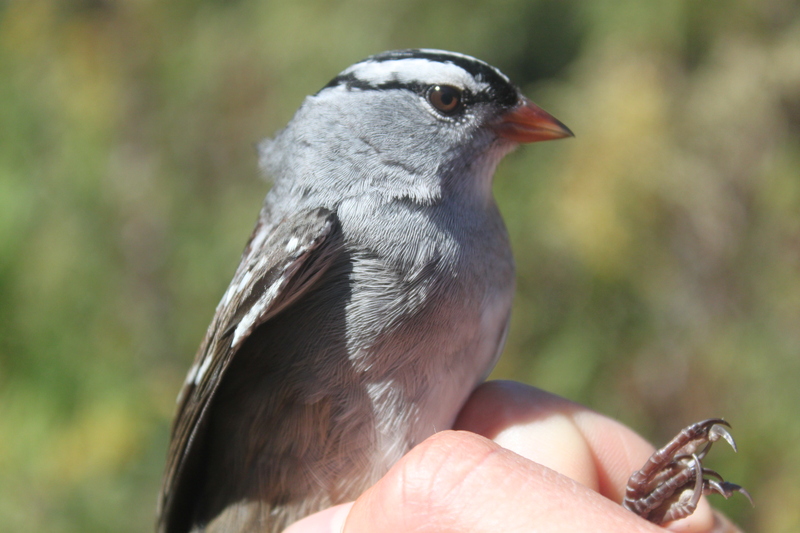 Bird of the day was White-throated Sparrow with 72 new bands. The fall bander training course came to an end today, as the students took their final exams. Many students chose to spend the better part of the morning banding (or were they merely delaying their written test??? ), and there were plenty of birds to go around. A Blue-headed Vireo was a welcome treat for the students, as was a Cedar Waxwing. Dave Holzmann, from SUNY Geneseo, brought his Vertebrate Biology class to see the banding operation up close, and the 30 students were treated to a good variety of warblers, sparrows and thrushes. 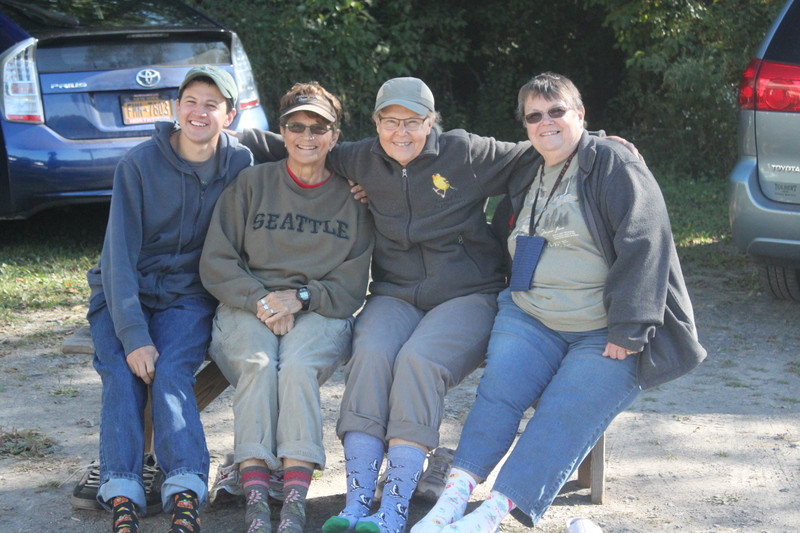 Jenna (our seasonal field assistant) returned from a banding job in Alaska, and it was great fun to hear about all the western species she was able to see and band. BTC Students Run the Station; Break 100 For the First Time This Fall!!!! brookser	Fall Banding	Comments Off on BTC Students Run the Station; Break 100 For the First Time This Fall!!!! 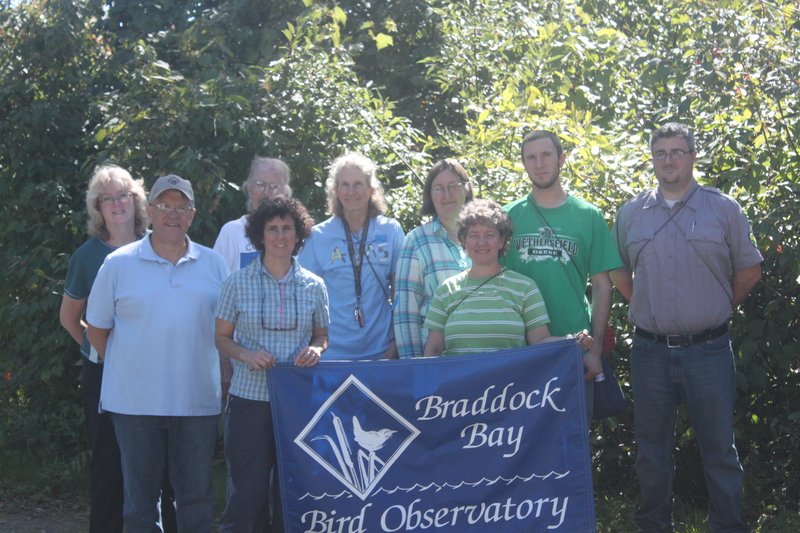 The students managed the banding station today … from opening and closing the nets, helping with the net rounds, doing most of the banding, and tallying the totals. Bird of the day was White-throated Sparrow with 58 banded. 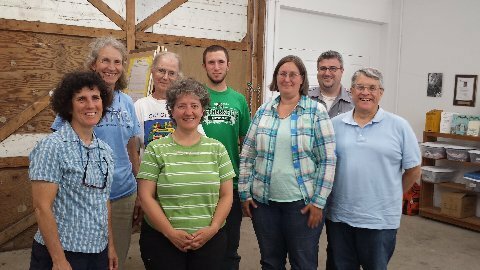 Stephanie tested birds in the MARS recording trailer; Ryan entered data, and took the class photo of the Fall 2014 BTC. Thursday September 25, 2014. 39 new birds of 14 species and 27 recaps. Bird of the day was Blackpoll Warbler with 8 new bands. It was a beautiful warm fall day but the southeast winds were not favorable for bringing us migrant birds. Of the new bands 17 were warblers and 15 were thrushes. The Bander Training Class students did most of the net picking and banding today. Andrea taught the aging by molt section of the BTC subjects in the afternoon and several banders joined the audience. Wednesday September 24, 2014. 87 new birds of 26 species; 18 recaps; new species Yellow-bellied Sapsucker. We had our highest daily total and also our greatest species diversity today (26), with 8 warbler species. Birds of the day were White-throated Sparrow with 21 and Swainson’s Thrush with 15. We had a morning visit from students of Dr. Kristi Hannam from SUNY Geneseo and an afternoon visit from students of Dr. Jim Fry from the University of Rochester. The Bander Training Class students are all banding and processing birds now, and becoming more familiar with aging and sexing and the use of Pyle’s reference book. It is the boys against the girls in a test to see which team chose the best spot and will catch the most birds. Home-schoolers Aiden and Madeline helped all morning with returning clothespin markers to the nets, folding clean bird bags for us, and other important chores.